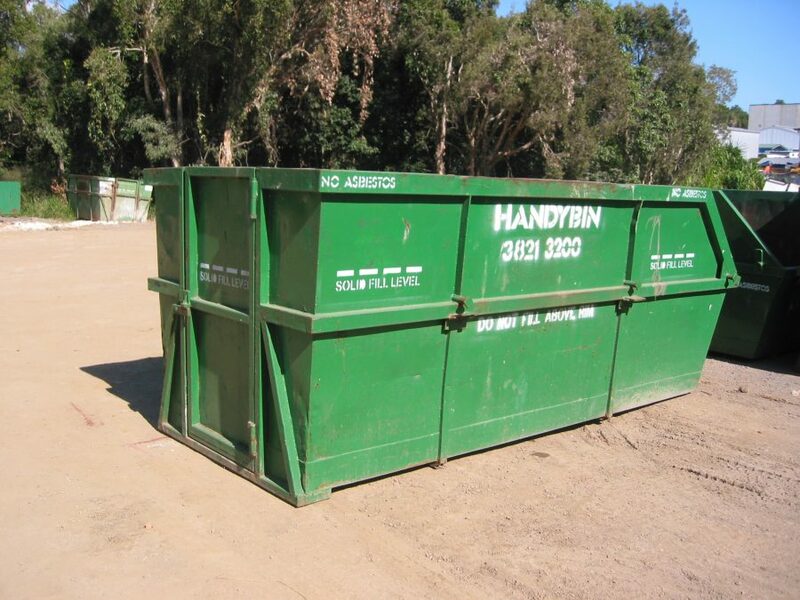 Handybin Skip Bins are such an easy way to get rid of rubbish. 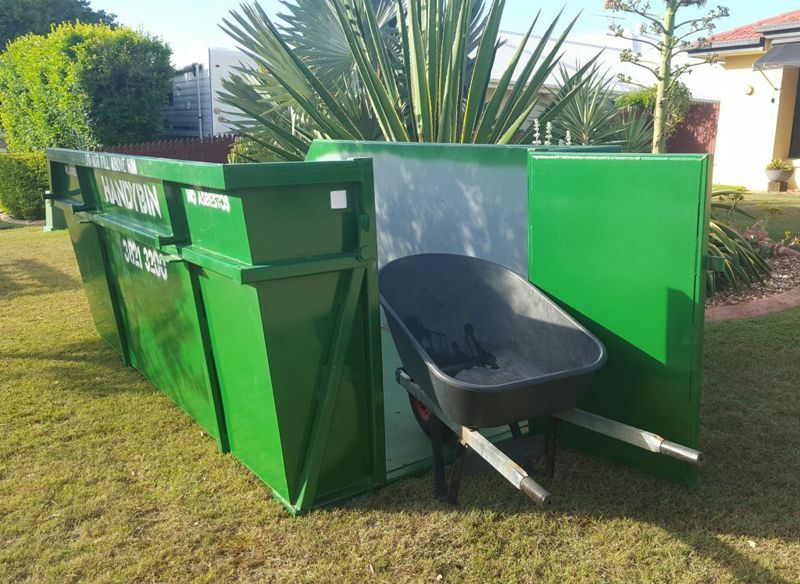 When it comes to skip bins our range of Handybin skips and bins is second to none! 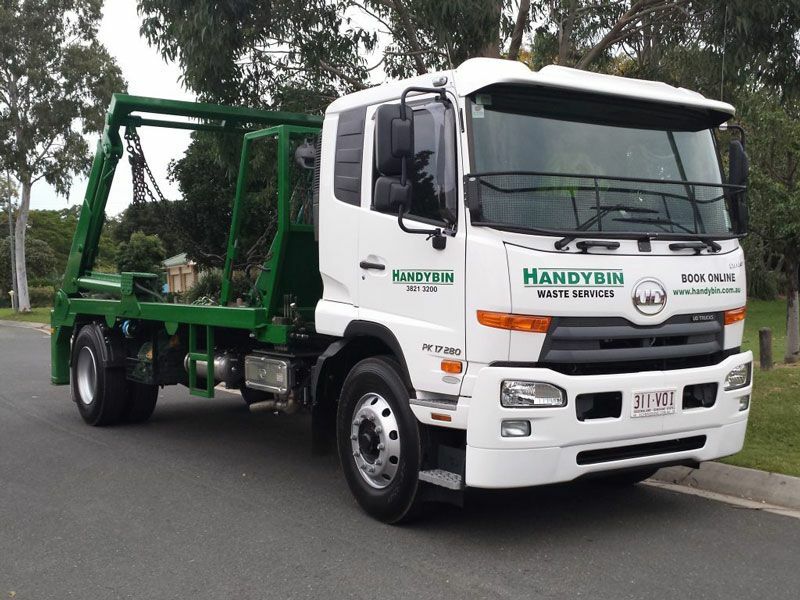 Our range includes ‘Certified Crane Bins’ and ‘bins with doors’ for easy loading, so the next time you need to move rubbish and unwanted items call Handybin. We have a range of options from a 1 – 7 day hire period. Furthermore, we offer extended rental periods for jobs that take a little bit longer. 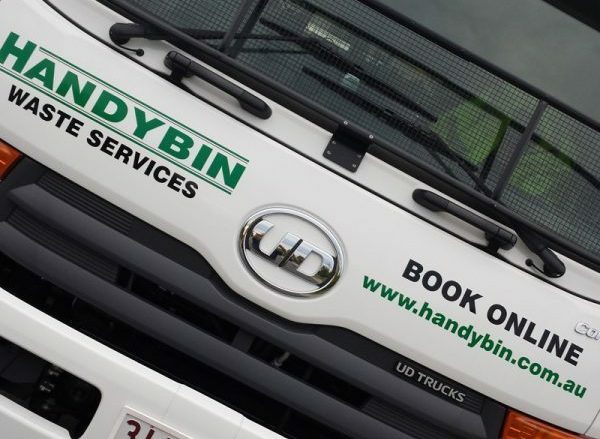 Ring us today to book a Handybin Skip Bin or book your skip bin online. The ideal solution on building and construction sites to maintain an aesthetically tidy workplace therefore safe work environment. 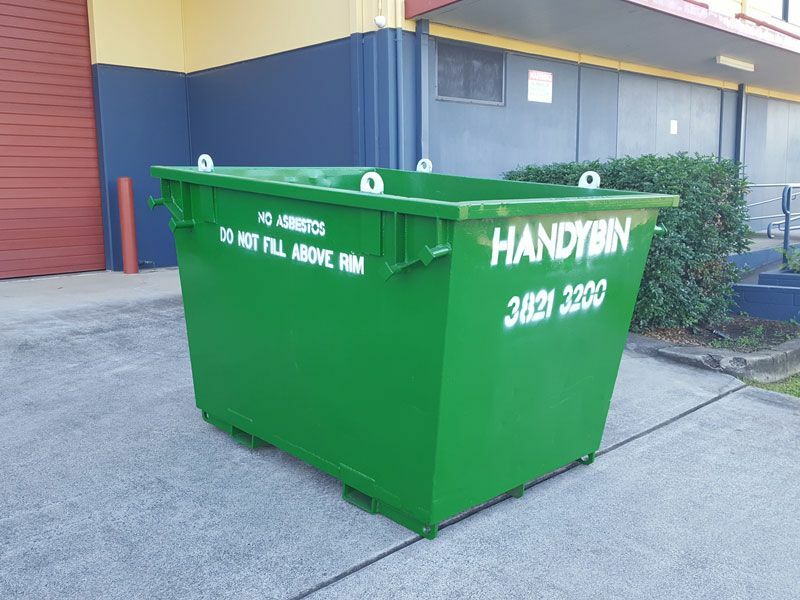 We were one of the first companies in Brisbane to introduce door access on a broader range of bin sizes, in particular, the Handybin range of ‘lift-on, lift-off’ bins. As a result, the design means that no ramp is needed to access the bin, making loading easier. One of our specialised skip bins are the 3 cubic metre crane certified bins. These are ideal for situations where you need to lift waste from high rise construction sites or difficult locations such as behind walls, fences or buildings etc. The crane bins are a 3 cubic metre bin certified for use to an SWL of 3000 kg. Wheelbarrow doors are available on all 6m, 7m 8m & 9m bins and some 4m & 5m bins. The door is 750 mm wide which will accommodate a large tradesman’s wheelbarrow. 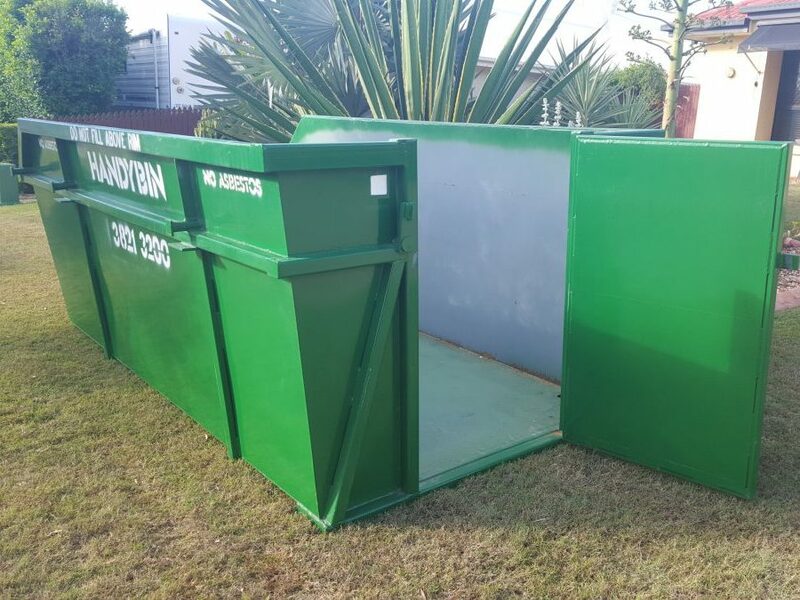 Our proven design means that no ramp is needed to access the bin, providing a safe and efficient way to load your rubbish. Our range also includes 6 cubic metre tailgate bins (lift on-lift off style bin) available for jobs that need a rear opening door. The tailgate acts as a ramp into the bin and sits less than 60 mm off the ground for easier loading. Crane it! Crane Bins available now! Crane bins have lifting points for attaching lifting mechanisms and heavily constructed forklift openings for when bins are required under or inside buildings and tight or difficult locations. The well thought out design means that the crane bins can be emptied using a ‘forklift rotator attachment’. Subject to weight, forklift and rotator specifications being adequate for the purpose. This feature means that when crane bins are being moved around sites, they sit securely on a forklift. Our crane bins are for sites that require a ‘liftup, lift down’ solution. Not for repeated emptying of bins due to the excessive damage that occurs in situations where this happens. This is another way in which we strive to meet the needs of our customers by continuing to develop, innovate and introduce new services to meet our growing market. 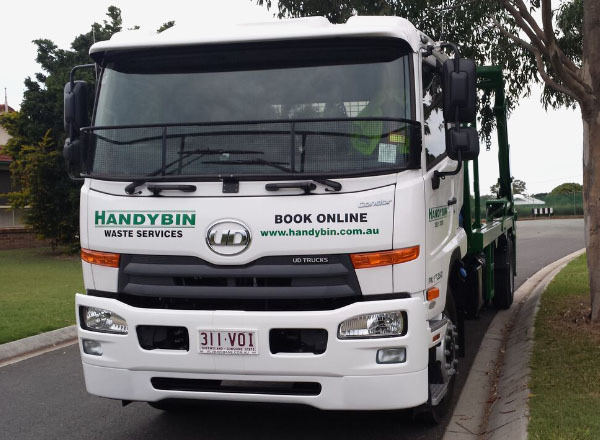 Our range of Handybins is one of the most complete in Brisbane. 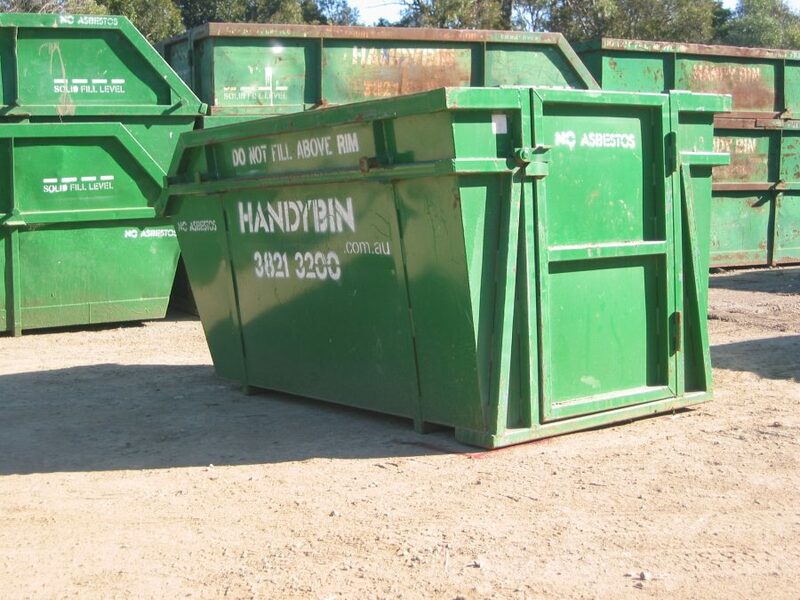 Handybins are available in 2, 3, 4, 5, 6, 7, 8, 9 cubic metres. With such a broad range we know that we will be able to find the right bin size to match your job. 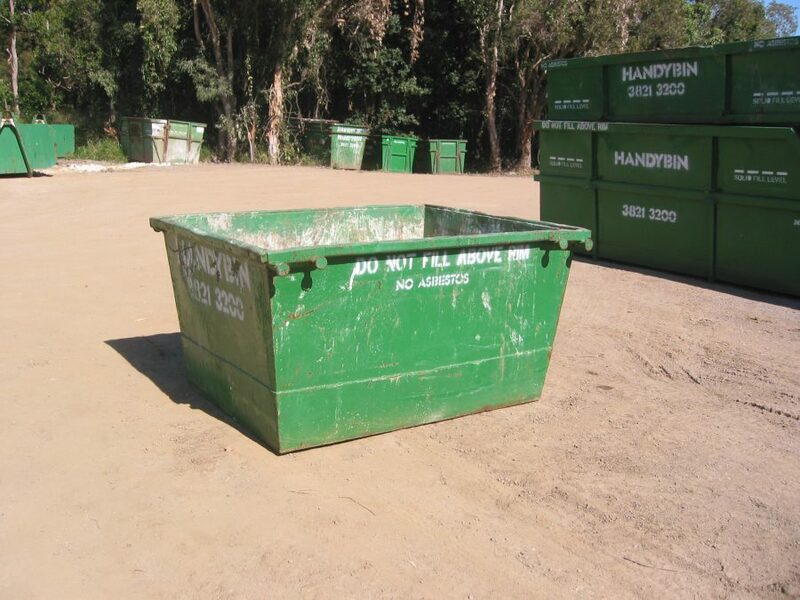 If you need a larger bin, you can also book one of our BIG BINS (12, 15, 20, 25 & 30 cubic metres). If you’re searching for a smart handy and convenient way to dispose of rubbish? We supply bins to homes, offices, businesses so, call us today. If it’s a prompt and reliable waste removal company your looking for you can rely on us. 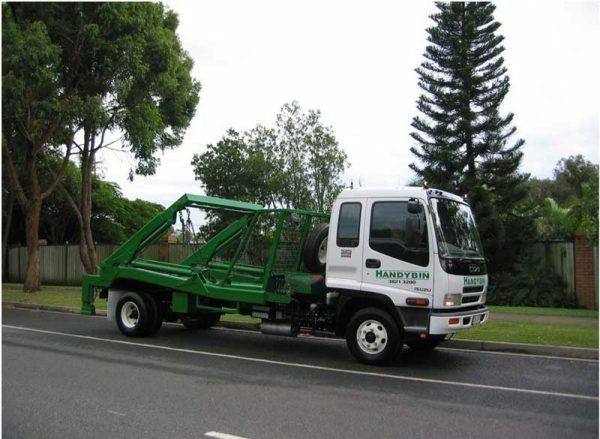 With an extensive range of sizes and 25 years of experience, we have the right solutions for rubbish removal. View a Guide to the size and capacity of bins. 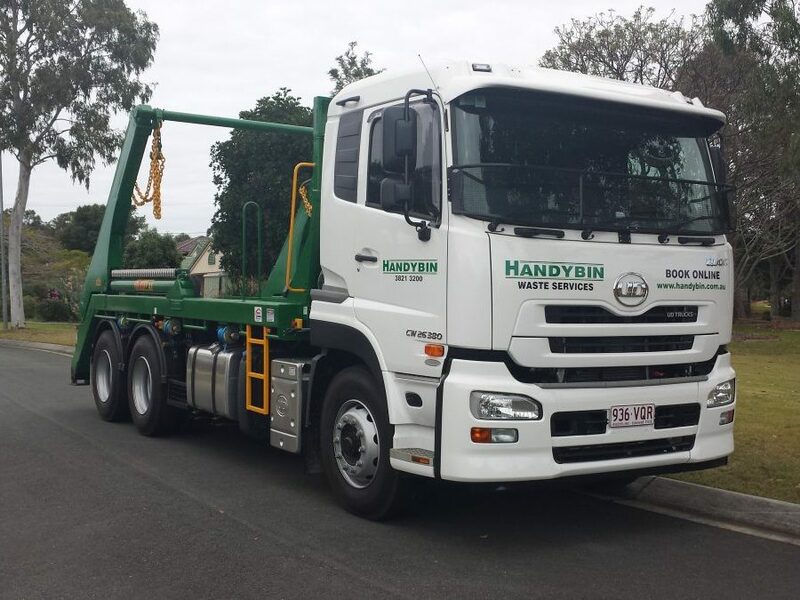 Please note our published Operational Guidelines and Terms & Conditions of Hire apply for all services provided by Skip Bins Brisbane Group Pty Ltd t/a Handybin Waste Services and RMG (Qld) Pty Ltd t/a Big Bins & A Big Bins.